Find an authorized license issuer in person. 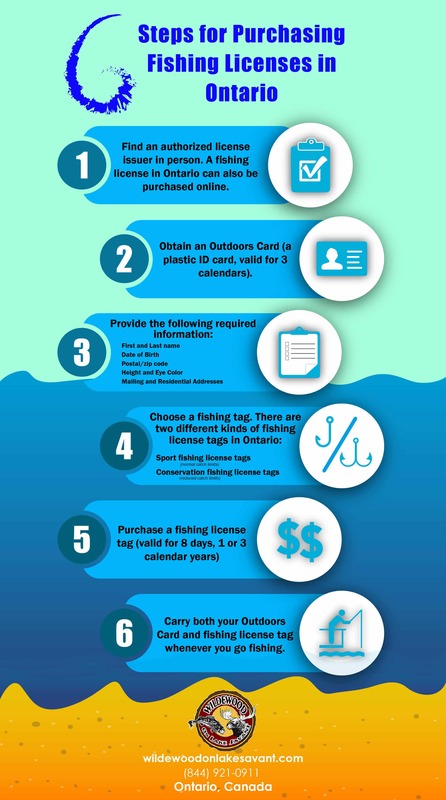 A fishing license in Ontario can also be purchased online. Obtain an Outdoors Card (a plastic ID card, valid for 3 calendar years). Carry both your Outdoors Card and fishing license tag whenever you go fishing.